N’djamena – For decades, many citizens of of Chad have sought employment in neighbouring Central African Republic (CAR) where many have lived since at least the 1970s. Yet since the outbreak of violence in CAR in 2013, thousands also have fled back to Chad, leaving behind everything they owned and who must now rely on Chadian host communities for support. 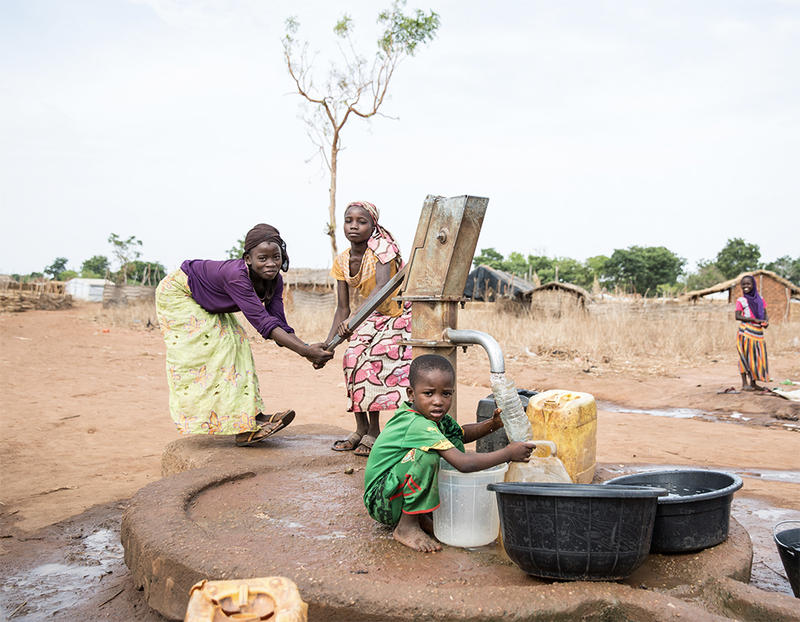 Resources of host communities in Danamadja and Kobiteye, Southern Chad, have been exhausted, such that humanitarian assistance – through the provision of shelters and non-food items – has become crucial to local stability. Last week (05/02), the International Organization for Migration (IOM) in Chad handed over 420 semi-durable shelters to the most vulnerable returnees in the main sites during a ceremony in Danamadja, which is home to over 8,500 returnees. During the same week (5-8/02) 175 kits including mosquito nets, blankets, sleeping mats, kitchen items, plastic sheeting, hygiene kits and related items were distributed in the site to the most vulnerable households. In these returnees’ sites, the most vulnerable families are mainly female-headed and have more than ten family members. Some households with members living with chronic diseases, or mental or physical handicaps, are also prioritized. “We came to you to discuss the needs and we found solutions together,” said IOM Emergency Coordinator Daniele Febei to community members who attended the event. “Joint efforts and close collaboration with local authorities and our partners helped IOM to facilitate dialogue with the communities and ensure stability,” he added. This assistance is made possible thanks to the Emergency Assistance to Displaced Populations in Chad project launched in September and funded by the Federal Republic of Germany. This project aims at providing essential support to communities in Goré and Baga-Sola by providing 1,000 semi-durable shelters and over 1,000 non-food items (NFI) kits including household, kitchen and hygiene items to target households.